Posted on August 5, 2018 by Rebecca C.
I often hear, “it’s just a weed” or “it’s just a bug”. Despite their humble beginnings, I find everything in the natural world beautiful. I mean, don’t get me wrong, there a few critters that make me squeamish. Wild rats, did I mention rats? I know the irrational fear comes from reading too many history books about the plague. My new nature series, Bridgeville Beauties highlights my finds in my area. The weeds, bugs, and critters of Michigan will be my area of focus. Starting with the first one, the Buttonbush or Bush Willow is one of my favorite plants to photograph. Growing up to 12 feet, I generally find the white flowering bush near the creek line. The white flowers with spike-like yellow heads are oddly beautiful. 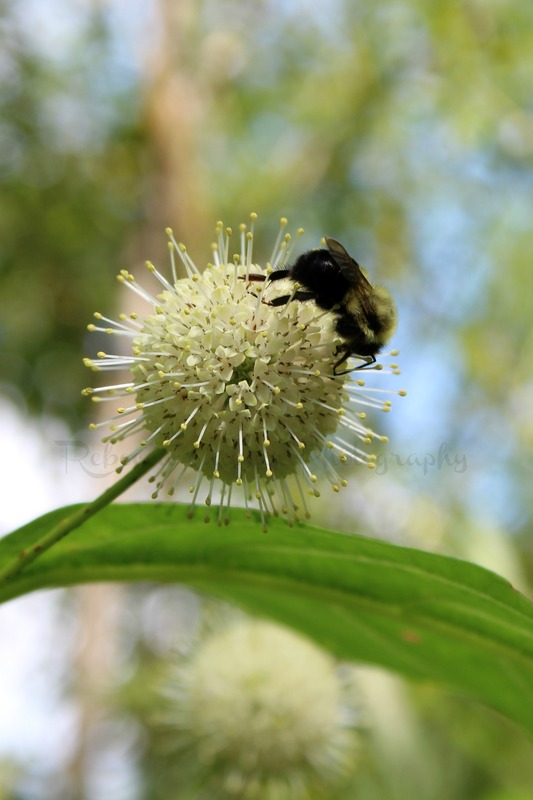 Attracting bees and hummingbirds, I find the Buttonbush to be a very beneficial “weed”. A bee enjoying the pollen from the Buttonbush. Posted on July 24, 2018 by Rebecca C.
Off from my porch, I have a Burdock plant in bloom. I know most people wonder why I let the “weed” grows so close to my house. The answer is simple. Photographing bees. Posted on March 17, 2018 by Rebecca C.
My mother’s maternal line comes from Ireland. 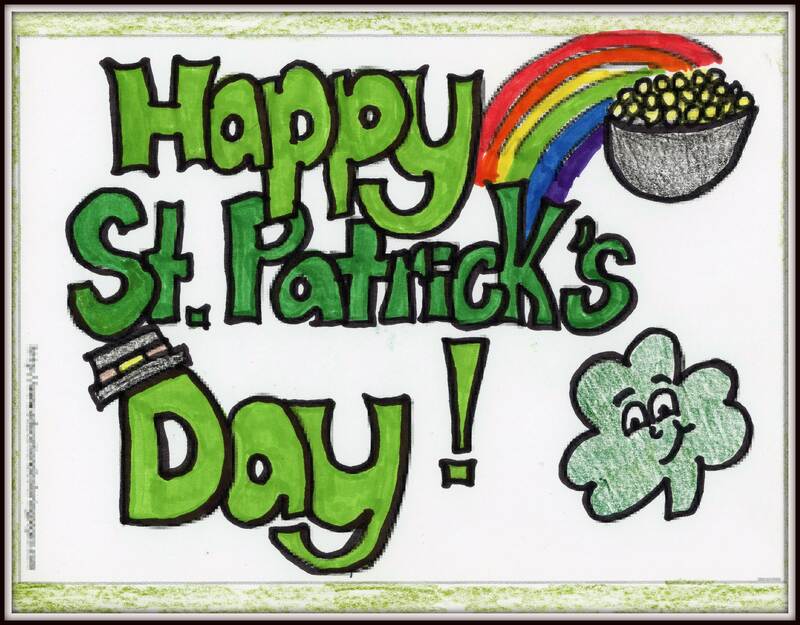 So, it would only be right that I wish everyone a Happy St. Patrick’s Day. I am hoping to erase one of my Bucket List items by visiting Ireland one day. Posted on November 11, 2017 by Rebecca C.
Right now on social media, the 7 days black and white challenge is extremely popular. I finally decided to participate. So this is the first photo from last night. I am not a big still life photography person. I would rather be outdoors. But once in a while, a creative mood hits me to try something different. Posted on July 3, 2017 July 3, 2017 by Rebecca C.
I could photograph dragonflies all day long. The tiny winged creatures hover and fly around my flowers. Of course, if I use my imagination, I can almost see fairies fluttering along the flowers. Posted on May 8, 2017 by Rebecca C.
Today, May 8, 2017, is Iris Day. I love Irises. To me, an Iris is old fashion plant. I have the traditional purple ones in my yard. And, a couple multi-colors ones which I mixed in for color. After searching through my catalog, I want to plant more this year. Posted on February 14, 2017 by Rebecca C.
Just wanted to wish everyone a Happy Valentine’s Day. I hope you were able to spend the day with loved ones. Posted on July 7, 2015 by Rebecca C.
Yesterday, I spent most of the afternoon photographing flowers. I had a new lens to play with…what else would I do? Today…well..it’s raining. So, I guess I should work on my book.